Can the Orange pull off the season series sweep? The Syracuse Orange had an underwhelming end to the second half on Tuesday when they fell to the Florida State Seminoles by a score of 80-62. Syracuse cut the lead to just one point against FSU, but the offense went stagnant and the defense couldn’t get a stop when they needed it most. Now the Orange will look to bounce back from that loss with a season series sweep of the Boston College Eagles Saturday at 2:00 p.m. ET in the Carrier Dome. The Orange took care of business on the road when these two sides first met, as Tyus Battle’s 31 points helped Syracuse nab the 77-71 win. Can the Orange put Tuesday’s loss behind them, and grab a much needed conference win? Can Frank Howard and Paschal Chukwu bounce back? Frank Howard and Paschal Chukwu had disappointing performances against the Seminoles, as they combined for zero points, zero assists, and three rebounds. Howard and Chukwu may have extremely different skill sets/roles on this team, but they are both vital to this team’s success. The Orange have very little shot of winning a game when they both play as poorly as we saw on Tuesday. Howard needs to set the tone on offense with his ball control and passing for the Orange to find success on offense. His ability to get into the lane and knock down uncontested threes is truly important, as he is the quarterback of this offense and starts the motion. Chukwu must use all 7-foot-2 of his frame to dominate around the rim on both ends of the floor. Chukwu, most importantly, must clean up the defensive glass, but he also needs to finish easy looks under the rim if he wants to avoid another outing like the one he had against Florida State. Battle’s 23 points against the Seminoles kept the Orange within striking distance for the most part, but he just couldn’t get enough help to pull off the home win. Syracuse’s leading scorer had a monster game the first time these two teams met, as he finished with 31 points and six assists. While Howard is the quarterback of the offense, Battle is the most crucial component to the system, as he is able to bail this team out with an incredible shot here-and-there when the Orange need it most. Syracuse needs to bounce back from Tuesday’s loss with a win on Saturday, and you can be sure that Battle will have a say in the game’s outcome. Yes, it came in a loss, but Oshae Brissett had a second consecutive game where he was efficient on offense, and that is a great sign for the Orange. After have 18 points and 12 rebounds against Pittsburgh, Brissett finished with 16 points on 6-11 shooting to along with another 12 rebounds against the Seminoles. Brissett is starting to look like the dominant player we know he can be, but it’s all about consistency for the sophomore forward. Brissett had just nine points and four rebounds the first time the Orange faced the Eagles this season, but look for him to be more aggressive and take better shots this time around, as he looks to build off of his recent success. I mentioned the importance of slowing down Ky Bowman when these two teams first met, and the junior guard finished with 21 points on 6-13 shooting. The Orange were able to get enough scoring to counter Bowman’s success, but it is the same story once again as these two sides meet for a second time—contain Ky Bowman. 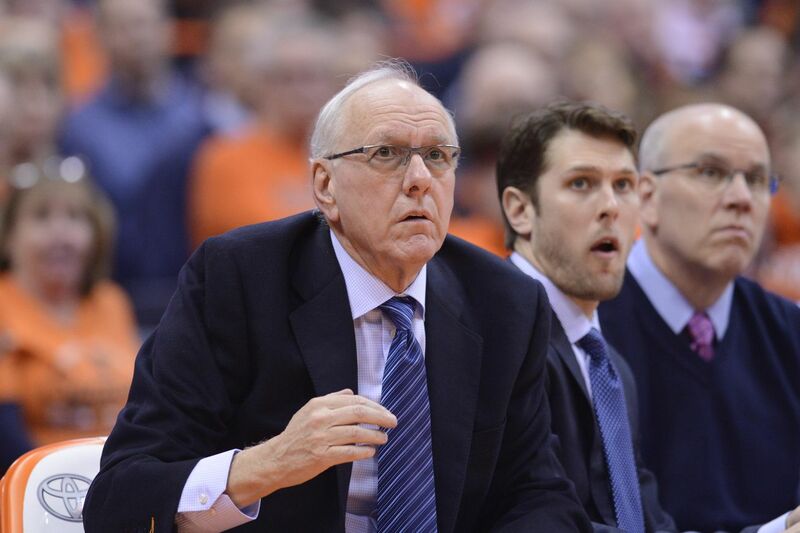 Bowman is a proven scorer both inside and outside the three-point arc, so look for coach Jim Boeheim to have a solid game plan to limit Bowman’s success the second time around. Syracuse out-rebounded the Eagles by one (26 to 25) in the first meeting between these two teams, and it’ll be important for them to win that battle again if they want to prevent a two-game losing streak. Syracuse sits one spot above Boston College at eighth in the conference in rebounds per game, so this rebounding battle should be close again, as both sides look to limit the opponent to one shot per possession.